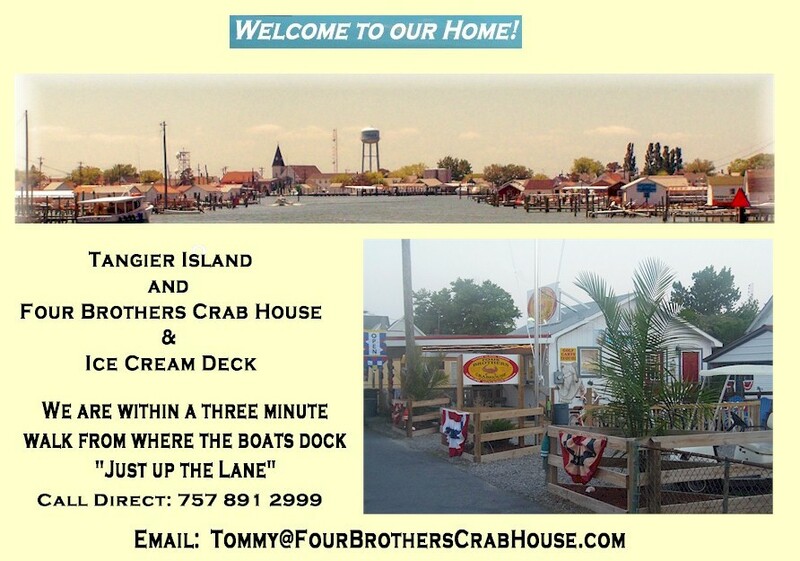 The "Four Brothers Crab House & Ice Cream Deck" is just a short walk from the Airport, Marina, and Cruize Boat Docks. We offer a wide variety of delicious food and snacks including fresh seafood, sandwiches, and pizza. 60 Flavors of Soft-Serve, Sundaes, Ice Cream Cookies, and much more. Don't feel like walking? No problem, our Golf Carts and Bicycles are offered for rent by the hour, day, or week. If you require access to the internet while visiting, just join us at the "Four Brothers Crab House" for FREE Wi Fi Internet Service.